Ranier is the owner of TEMPLE+TRIBE and the founder of the Grace+Grit Barre Method. She has been a dancer and artist all her life and a personal trainer and movement coach for the last 14 years. She founded T+T so she could have a place to workout the way she wanted to, paint, and hire all her friends. "Movement is my happy place. It keeps the crazy away, grounds me, and refreshes my perspective on the world. Every time. When I couldn’t find a method that worked the body the way I wanted to, I created my own. When I teach I come back to myself, grow, and, in general, have a gloriously fun time." "I started dancing at 3 and got certified as a personal trainer and group exercise instructor at 17. I have been working as both, since. I have studied corrective exercise, yoga, gyrotonics, and neuromuscular activation work (among other things) and have a particular love for body weight based movement forms that require focus and body consciousness." What are three things in your purse? "Coming from a very active and athletic family exercise has always been encouraged to keep away the demons! I feel at my best when I make time to move my body. I truly believe in the detoxifying practice of sweating (particularly to banging’ beats). I’ve had a deep love of music my whole life, only exacerbated by being a dancer and DJ. I am fascinated by the body’s abilities and the mind-body connection. I love to help people drop into their bodies and get their glow on. Movement everyday keeps the crazy at bay!" "I have been a lifelong student of movement. As a child I studied ballet and Irish dance in NYC. I became a competitive dancer in my teens and have always loved moving my body to music. I have also been an avid horseback rider since before I could walk and was a highly competitive show jumper in New Mexico from 2005-2012. I began college as an exercise science major with a special interest in physical therapy. While that is not ultimately what I earned my degrees in I continued to pursue my education in movement while living in New York through yoga, boxing, and instructing self-paced fitness. I am a NASM (National Academy of Sports Medicine) Certified Personal Trainer and love to bring the joy I've found in movement to all of my clients, encouraging them not only to push themselves for their best work out but also to have fun doing so. My journey in fitness and movement brought me to Temple+Tribe and I could not be more thrilled to be a part of the amazing community of Tribers!" "Daily movement is the only thing that keeps me from imploding on a webinar or the world at large for that matter. After an x-ray discovered that I literally have a tail (like that of a meerkat! ), a sacralized L6, and subsequent degenerative disk disease, I was nearly bed-ridden for a year with chronic pain. By no small miracle, I found Temple and Tribe and began my journey towards strength, pain free living, and sustainability." "I’m a Native-born 505-er and restless globetrotter. With an MA from the United Nations University and a BFA in Photography, I’m both relentlessly cynical (a sort of hater in recovery) and unabashedly creative. I’m the Founder and Director of Kindle Project, where I spend 40 hours a week with the best people on the planet, blowing up oppressive structures and dreaming up new possibilities." 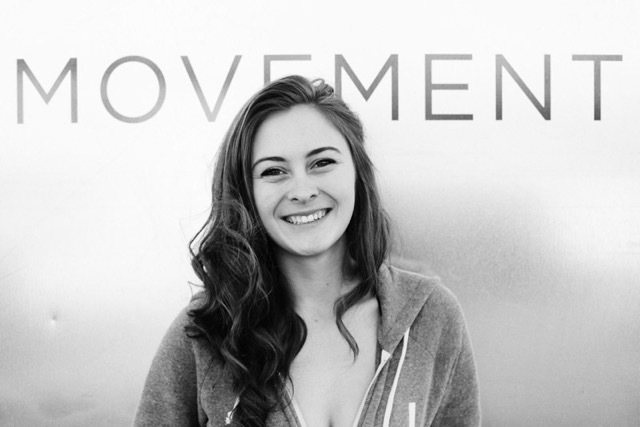 "Moving my body (especially at T+T) creates movement in my mind and my heart too. It helps me sort out anything that’s bugging me, resets my inner equilibrium, and makes me feel strong, capable, and ready to face the world with fierceness and love. Plus, this tribe is pretty badass." "By day, I’m a family law lawyer, helping people through what is often the most stressful and unpleasant experience of their lives. I strive to help my clients get divorced and figure out how to co-parent with grace, compassion, and dignity. By night, I like to engage in any number of joyful shenanigans. My big, red, dog, Bogart, comes everywhere with me, including my office and the barre studio. He’s the best." + Whatever book I happen to be reading at the moment. "I love pushing myself and further exploring the limits of my mental and physical capabilities. Temple+Tribe has given me a space to both examine myself while also being able to relieve my stress and keep rooted down in reality." "I come from a very active background. My family has always made movement a priority -- and for many of them, a vocation. I grew up dancing, but stopped as I got older. I began exercising once more in my undergraduate and have become (relatively) obsessed with trying new forms of fitness classes and investigating how my body works depending on the different kinds of movement I force it into. I also have had a recent fascination in seeing how bodies form and how muscles develop depending on genetics, body structure, and different methods of movement applied." I practice because it helps me be a better person -- Yoga is the medicine that helps me live a calmer, more conscious and connected life. I have been practicing yoga for over 15 years and have over 2,000 hours in teaching experience. My formal educational background is in Nutrition, Ayurveda, Women's Studies, Social Justice and Communication. What are three things in your backpack? "I move because my body really needs it. If I am stressed, tired or in need of motivation I know that I can move to rejuvenate myself. It’s like magic. Temple+Tribe gave me a way to move without hurting my body and gave me an opportunity to learn about movements, muscles, body awareness etc. while having fun and spending time with lots of inspiring people." "I have been a dancer all my life and started taking classes at T+T about two years ago. I soon became Ranier’s first (and youngest) apprentice and was subbing and helping out not long after. I am now the studio manager, teach three classes a week, created the manual for our first teacher training, and train private clients. My life is a constant balancing act of Temple+Tribe, homework, writing for the local paper, and running my high school paper. If I can get some time in between I will read and write – my two favorite hobbies since forever."